KTR offers traditional power system engineering services. Let us help you solve that “coordination” issue. Call today for a free estimate. Evaluates an electrical system’s protective devices, including relays, fuses and circuit breakers, and the equipment to which they are applied. Calculates the fault current levels throughout the power system. The interrupting duties of the devices being analyzed are compared with the available fault currents. Addresses present electrical system deficiencies or identifies system requirements to meet future demand. Identifies the sources of power system quality issues that can reduce system efficiency and increase operating costs. Harmonics are typically found in facilities with a large number of non-linear loads and electronic equipment. This analysis calculates the voltage, current and the accelerating torque of motors during the starting process. 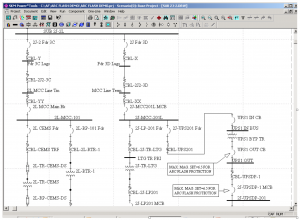 Determines stresses that system components are exposed to and recommends corrective measures. Quantifies the probability that a system or component will operate as intended. These are typically performed for mission critical power systems. 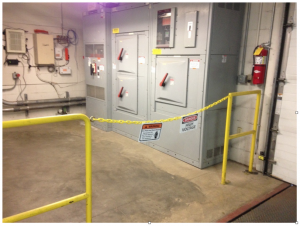 Optimizes grid geometry and evaluates high risk areas of the switchyard. Opportunities for risk mitigation are also identified. © 2016 KTR Electrical Solutions.